That's right. 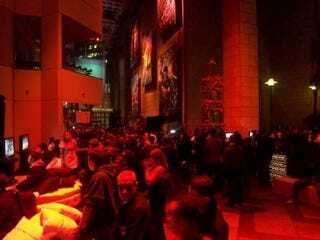 When you do all the math, there were over $200,000 dollars to be banked by Sony at New York's rain-drenched PS3 launch party Thursday night. 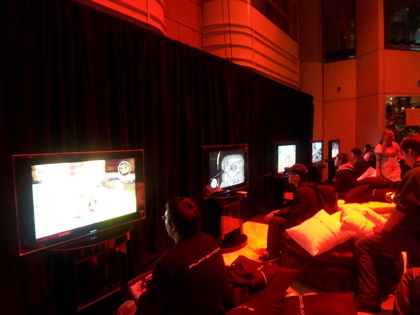 And by the end of the event, each of the 400 PS3 hopefuls got what they wanted, first dibs at their dream console and the ability to do with it as they pleased. More party pics after the jump. 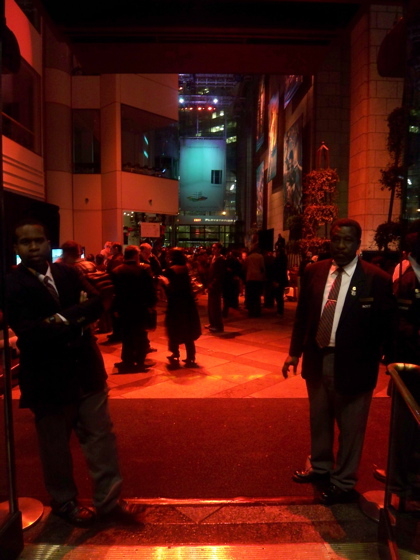 You can't have a NY party without the requisite bouncer/security. Once inside it was 1080p heaven. That is, if you were lucky enough to find a free console to play on. 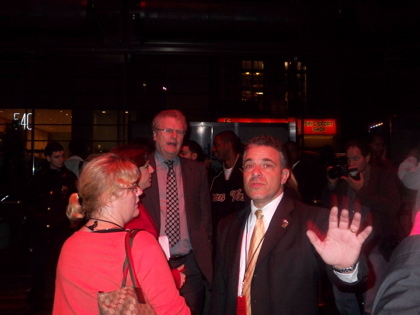 Mr Sony himself, Sir Howard Stringer, made an appearance at the launch. 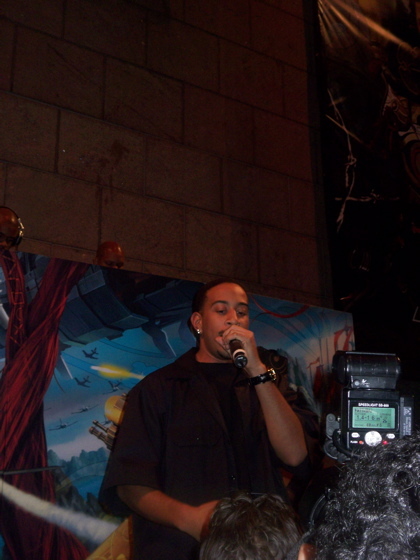 As did Ludacris who managed to pump up the crowd before the final stretch.